Possums are very cunning animals and can be difficult to remove from your home once they have taken over the space and made it their own. Residents of Lansvale often call upon the assistance of highly-trained experts to remove them from their homes or commercial premises. 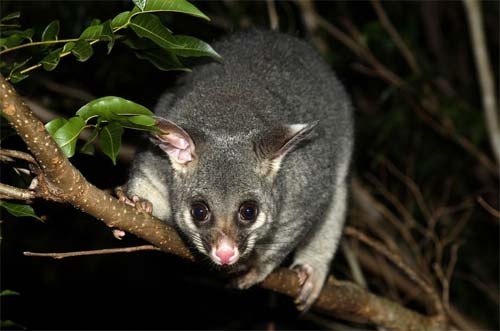 It is not uncommon for people to try and catch the possums on their own, however, possums are a protected species in N.S.W. so residents of 2166 should not attempt to catch them without a license. The laws concerning possums vary from state to state, which can be confusing for homeowners. In Sydney and the whole of New South Wales the laws are quite clear however, and unlicensed people need to be aware that by attempting to trap and remove possums in illegal. Offenders in Lansvale can be prosecuted under the Prevention of Cruelty to Animals Act if they are caught trying to catch a possum illegally. Got a Pesky Possum Problem? Possums, despite all the nasty things said about them, play an important role in maintaining the flora and fauna of NSW. They have lived in this beautiful part of the world for aeons longer than we have, since well before Lansvale even existed. They play their role in the complex web that makes up the Australian ecosystem. Yes, possums are an asset to our environment. However, as much as the possums help maintain the ecological balance, the fact still remains. When one of these critters moves into a Lansvale home, they become a certified pests themselves. While it is legal in New Zealand where possums are an introduced species to trap and kill them, in 2166 and the rest of Australia this is not the case. That is why possum removal has become as complex as it is. With other pest you can trap and kill with no legal issues, possums however must be treated differently. As per legal requirement possums must be caught in a safe and humane manner and only ever by a licensed catcher. They are not allowed to be harmed or killed once caught, and must be released within a certain distance of where they are caught. Laws are different based on your location and specific councils laws, however in Lansvale the must be released back onto the same property on which they are caught. It can be quite a laborious process to get rid of possums from your premises. For many ordinary individuals to have to apply for a license and then hire a trap in an attempt to catch the troublesome marsupial is asking too much. This is why the services of the team at Pesky Possum Bird & Pest Control are so valuable to residents of Lansvale and the surrounding suburbs. For guaranteed possum removal, we are a professional pest company who can handle the task for you. Let us to do your dirty work. This way you won’t have to stress and the job will be done right, the first time. Let the experts take care of these time consuming matters for you. Contact the possum control experts today by filling in the contact form above to get in touch. Soon everything will be taken care of and your problems with removing possums will the a forgotten memory from the past.